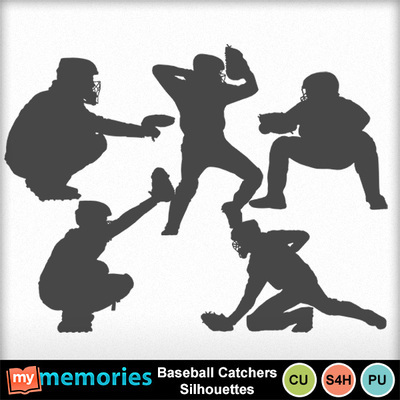 Need the perfect BASEBALL CATCHER Silhouette for your next project? This COMMERCIAL USE set includes 5 large, original, un-textured silhouettes in PNG format, ranging in size from 5"-7" long/tall. You can recolor and/or texture to suit your needs. Use for invitations, scrapbooking, and more!